The order was passed by Chief Judicial Magistrate (CJM) Jayaram Prasad on Monday, on a complaint filed by a lawyer, Murad Ali. 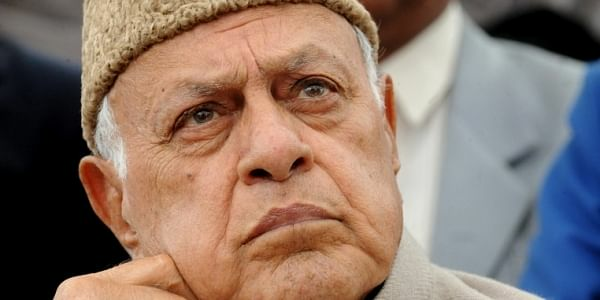 BETTIAH: A court in West Champaran district of Bihar has ordered that an FIR be lodged against National Conference (NC) chief Farooq Abdullah over his controversial remarks on Pakistan-occupied Kashmir (PoK). "On November 12, there were reports in the media that Abdullah had said PoK was a part of Pakistan. The comment was seditious and hence, a petition was filed, praying for directions to the police to lodge an FIR against him," Ali said. Town police station in-charge Nityanand Chauhan said, "We are yet to receive a copy of the order. Action will be taken once we receive it." Abdullah's comment had kicked up a political storm, drawing sharp criticisms from the BJP and its allies. Reacting to the former Jammu and Kashmir chief minister's comment, Bihar Chief Minister Nitish Kumar, who is also the national president of the Janata Dal (United), had said "entire Kashmir, including the areas under Pakistani occupation, is an integral part of India".